Discussion in 'Lexus Lounge' started by krew, May 4, 2015. 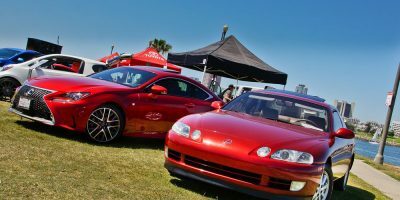 Over sixty photos from this weekend's Toyotafest event in Southern California. mikeavelli and Brian like this. Wow, what a turnout! Beautiful vehicles everywhere. That red SC is superb. Awesome shots! I was hoping to see a bit more 2GS models in the shots, but I have no idea how many GSs there were in total. It's always VERY cool seeing the old school Toyotas there. Awesome pics. Looks like it was a great event! An incredible day, filled with enthusiasts new and old enjoying the entire array of all things Toyota. I had numerous inquiries about my own vehicle on display, and it just spurred a greater interest both from those who know me in the Lexus community as well as some who were just curious about the car itself. Great times as always.